What is Solisten and how does it work? Solisten®, the portable application of the Tomatis® Method, is a revolutionary sound training program that strengthens the ear and energizes the brain, improving many areas including auditory and sensory processing, stress, speech and balance. It provides the original evidence-based auditory training program by Dr. Alfred A. Tomatis, incorporating complex aspects of the Tomatis Effect through the use of sophisticated electronic functions including gating, delay and precession. The proprietary preprogrammed music uses filtered levels, and bone and air conduction. Here at Bergen Pediatric Therapy Center, the Solisten® is provided in our center for two phases of 15 days each. Each day you listen for two consecutive hours. After a break of 3-4 weeks, you listen for another 15-day period of two consecutive hours a day. During this period, your Solisten® practitioner monitors your progress. Every situation is unique. In many situations, the initial 60 hours are sufficient. In some situations, continual listening may be necessary over a longer period of time to achieve greater goals and desires. This is determined together by the Solisten provider and client as his or her program progresses. 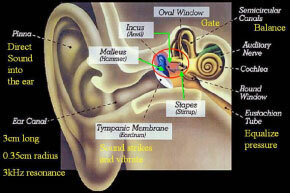 Solisten® which provides the Tomatis Effect restores these two auditory muscles to their full working ability. How can Solisten technically stimulate the auditory system? The process used in the Solisten® device is called electronic gating. Electronic gating is a system discovered by Tomatis that makes use of and reactivates the strategies of perceptual organization and management of our acoustic environment so the brain is normally able to function when listening is not disturbed. This system of alternating between two acoustic channels (called “gating”) enables a person to regain the use of and even to develop the auditory strategies that the brain normally uses when listening is not disturbed. An increase in the intensity of the message. The gating is precise and respects these two conditions in its application. This stimulation is made through specially processed sounds designed from many years of practice and experience in our company. Are There Differences between the Tomatis Method and Solisten? Yes and no. Both provide the renowned Tomatis Effect. Tomatis developed specific functions in the Electronic Ear that provide gating and two delays processed through the EE and relayed through special headphones with bone and air conduction. The result of these programmed and combined functions is called the Tomatis Effect. Dr. Tomatis began his work with individuals, working with their voices. He invented the Electronic Ear to strengthen speech and voice quality. While the Tomatis Method offers active voice work, Solisten obtains the renowned Tomatis Effect without active work and voice recordings. Solisten begins with an initial interview and screening. It does not require the Tomatis Listening Test. Solisten by itself is not an FDA approved stand-alone program (as is the case with all sound interventions) and is not recognized in the USA as a medical intervention that seeks medical reimbursement. At our center we focus on occupational and physical therapy services in an adult-child one to one ratio and we add Solisten as one of our many tools.